If you don't have a lot of knowledge of DJ controllers, or DJ setups in general, then choosing the best controller can be challenging. There are a number of things you need to consider that can complicate the process. Should I get decks, or a DJ controller? Will this be the best setup for my style of music? We've written this article to help answer these questions and more. Once finished this article, you'll have the confidence to select the best DJ controller to suit your budget. As this article is geared towards the beginner to intermediate DJ, we'll consider DJ controllers in the entry to intermediate price range. Thankfully, there are a number of companies that offer high quality DJ controllers under $500 that can be used for both bedroom DJing and small venues such as clubs or bars. We'll quickly cover some background information you'll need to make a confident decision. We'll then move on to our top picks for the best budget DJ controller based upon the current controller market and community feedback. This article was written for the beginner in mind, but should still be a good review for the intermediate DJ. We've done our best to avoid any complicated jargon or overly technical explanations. Although it may seem complicated, you'll be able to confidently select the best DJ controller using a few considerations. Let's get started! So why a DJ controller? The question of DJ controller vs. turntables vs. CDJs arises when considering your first investment into DJ gear. Let's briefly summarize each option so everyone is on the same page. The most beginner friendly and can be used for every style of music. This setup uses a DJ controller interfaced with the software on your laptop. While the controller itself doesn't actually send the audio signal, it's used to manipulate the parameters on your DJ software. Because the controller acts as an all in one by including the audio interface, mixer, and tables, it's easy to use, versatile, and portable. In other words, it's a great setup for beginner to intermediate DJs. It also happens to be the most budget friendly option. While you still can purchase controllers above the $500 range, many companies offer good quality controllers for reasonable prices. The only caveat is you must have your own laptop. 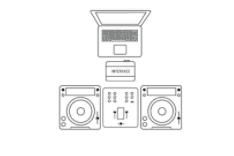 This is the classic DJ setup. Turntables can either be used solely with a mixer, or can be interfaced to a laptop and DJ software (Serato Scratch, or Traktor Scratch). If you are looking to play Hip-Hop music, the turntable route is the recommended option. This is the most tactile form of DJing, and is what most people consider to be the classic form. If you are not planning on interfacing to software, keep in mind you'll need to bring your vinyls with you to each show. This is the professional standard. This is what you'll find in most large venues or clubs. Nowadays, most DJs will import their tracks into the decks using a USB drive. 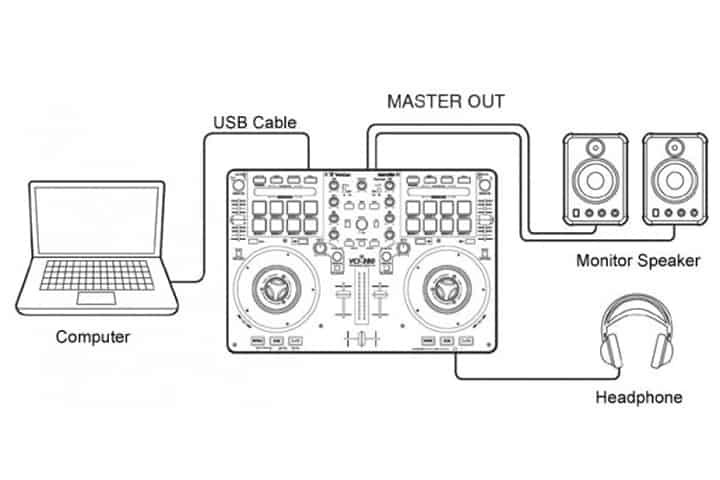 This setup can also be connected to the standard DJ software if needed. While there are some budget decks available, this is generally budget prohibitive for most beginners. The typical DJ trajectory these days is to start with a DJ controller and software, and transition to CJDs as you become more advanced. ​As mentioned above, we recommend using a DJ controller setup for your first DJ setup as it is very beginner and budget friendly. It is also very versatile, making it compatible with any style of music you want to play (although you may want to consider turntables if you are going to be scratching). This is one of the top deciding factors you should consider when selecting the best controller for you. The price range can be quite substantial from entry level to professional. Entry level controllers start at around $100 and can go above $1000 for the professional models. The good news is, the features that come with the professional controllers aren't necessarily things you'll be concerned with at the beginner to intermediate level. The more stripped down, budget friendly versions also happen to be much more portable and user friendly. We recommend spending around $250 for the beginner controllers and around $500 for the intermediate. This will ensure you get a quality controller that won't hold you back. Because you are controlling the audio using the DJ software on your computer the software you use is a very important consideration. 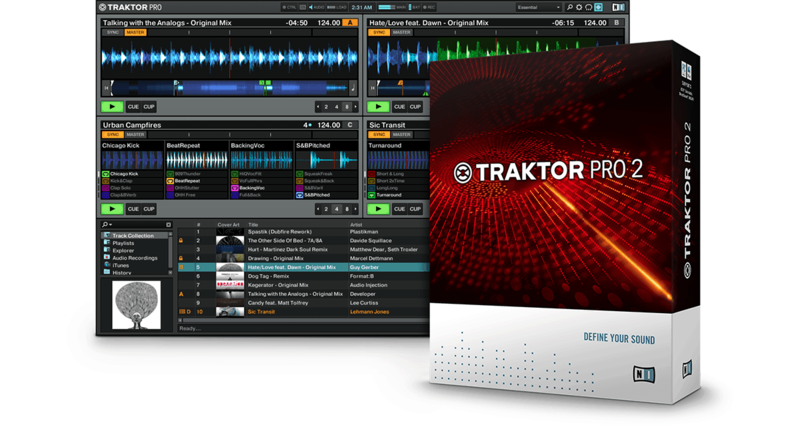 If possible we recommend sticking with the major software versions available (our top pick - Traktor, or Serato). This will allow you to become comfortable with the industry standard and make the progression to advanced equipment much more seamless. ​Luckily, many of the controllers will come bundled with software (or a lite version of it), making the mapping of your control to software effortless. Look for something lightweight with a simple interface. While the features on each controller will depend on price point, sticking with one of industry leaders will ensure you get a quality controller. We recommend sticking with something from either Pioneer, Native Instruments, or Numark. Granted, there are other fantastic controllers from great companies, but sticking with the industry leaders will get you a control that is used and trusted by a vast majority of the DJ community. These controllers have been fine tuned to give you everything you need in a controller at the lowest price possible. Each one of our recommended controllers will give you everything you need to DJ like a pro. They come with all the standard requirements such as jog wheels, 2-channel mixers, FX controls, loop controls and hot cues. They are designed to be plug and play capable, requiring only your laptop and software to get started. 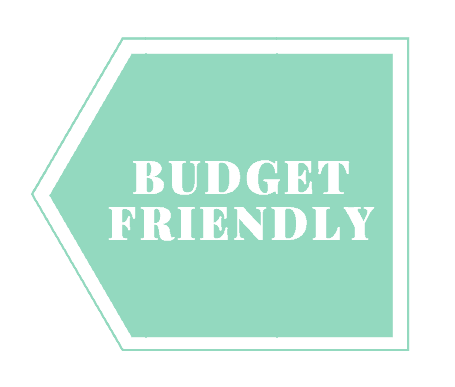 We've selected our picks based upon our three selection criteria: budget, software and quality. We've listed them in order of price (lowest to highest). Let's dig in! This is the lowest priced controller on our list. Although a little less expensive, The Mixtrack Pro 3 from Numark still offers many of the same features as the other controllers. This brings us to our first point - value. While not the best control you can possibly buy, this controller packs in a ton of features. First, it's very intuitive to use and is a simple plug and play controller. This will ensure your controller maps automatically to your software through the USB connection. Secondly, it's very light and portable. This is perfect if you are going to be bringing it with you from show to show. It scores high marks on a lot of things you should care about as a DJ. For starters it has 10mm pitch sliders - this allows you to make small mixing adjustments and accurately manipulate the temp of the track. It also has independent hi and low pass filter controls, something you usually find on high end controllers. The platters are the same platters you'll find on the $700 Numark NV, a great value. Finally, it includes a multi-function touchstrip for dynamic FX and song searching. If you are not a fan of Serato software, this controller is compatible with any DJ software. 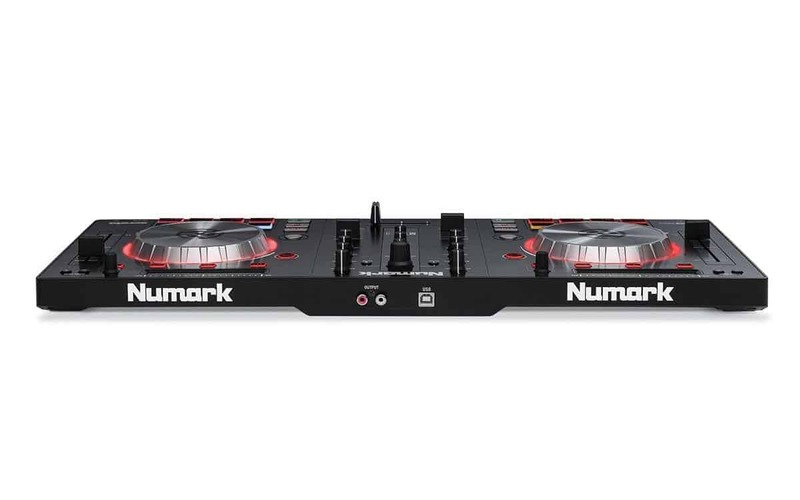 ​Keep in mind that Numark also offers a Mixtrack 3 that doesn't include a built in soundcard. The soundcard on the Mixtrack Pro 3 lets you preview your next track in your headphones - an essential part of DJ. Bottom Line: If you are on a budget, this controller can't really be beat. You will get a ton of features usually found on higher end controllers at a much more reasonable price. Serato software is included, so all you will need is your laptop and you can start playing. The most popular controller at this price point. The Pioneer DJ DDJ-SB2 is the entry level offering from the industry leader in DJ equipment. Although budget friendly, this controller still offers a ton of exceptional features. Pioneer is best known for their professional quality DJ equipment, so it is no surprise the features on this controller are top notch. If you are considering either the DDJ-SB2 or the Numark Mixtrack Pro 3, we suggest the DDJ-SB2. While these are both fantastic controllers and you wouldn't be wrong choosing one over the other, the DDJ-SB2 does offer gain adjustments on each track and does have slightly better jog wheels. As mentioned above, the jog wheels are exceptional. No latency whatsoever. Some have compared them to top range CDJ that are industry standard for professional DJs. They have seamless integration with the Serato software, making them perfect for scratching, backspinning or beat juggling. It also comes with a built in soundcard. This is essential for listening to your track before you play it. An obvious feature that every controller should have, but which some entry level controllers lack. Pioneer equipment is designed to work with Serato software. This means it only requires a simple USB connection to your computer and it effortlessly maps to your software. Although the DDJ-SB2 only comes with the stripped down Serato DJ Intro software, it will make a great introduction to those looking to upgrade to more advanced software. 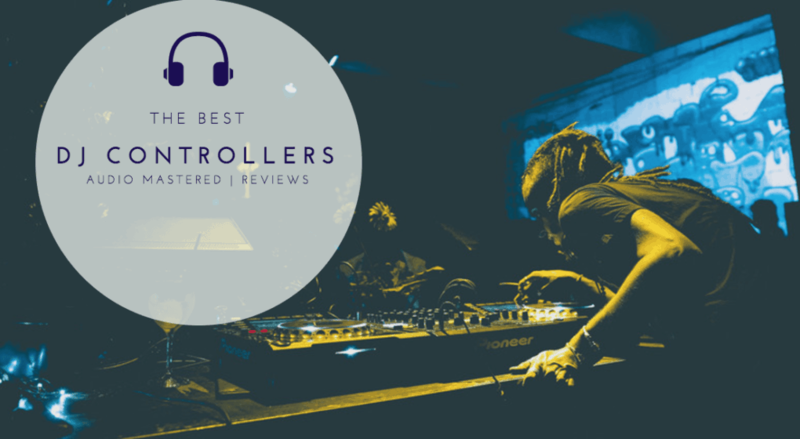 Similar to the other controllers on the list, it does well with everything a DJ should care about with a 2-channel mixer, performance pads and effect controls. This controller does require a driver to be installed if you are using a PC (Mac users don't require a driver). Unlike the Mixtrack Pro 3, the DJ DDJ-SB2 has gain controls for each track (Pioneer calls them trim). ​Bottom Line: You can't go wrong here. A great choice for an entry to intermediate level DJ controller. High quality at a reasonable price. Highly recommended! A high quality controller from Native Instruments. Another industry leader. The Traktor Kontrol S2 MK2 is seamlessly integrated with the Trktor Kontrol S2 software - arguably the best DJ software on the market. When you plug this controller into your computer, it will seamlessly map all the controls to the software hassle free. The S2 is easy to learn and easy to use. It has a small footprint with a very intuitive user interface. Like the other controllers, it does well on everything a DJ will need. It includes a built in audio interface (24 bit/96kHz) which allows you to connect to whichever sound system you'd like. Because of the wide frequency response, this controller can be used with any club sound system. Additionally, it comes preloaded with 40 loops and 10 songs that will help you add color to your mixes. It offers 30 different FX with proprietary features such as Beatmasher and Beatslicer. You can also use the additional remix knob to mix in the Remix Decks as a third channel. In our opinion, the biggest feature that is offered with the controller is the included and integrated Kontrol S2 software. This will allow you to reach professional levels without needing a software upgrade! Our only compliant is the build quality. The MK2 uses a bit too much plastic for our liking. Bottom Line: A great choice for anyone looking to get a good quality controller without having to upgrade the software. It seamlessly integrates with arguable the best DJ software in the industry. A great choice!